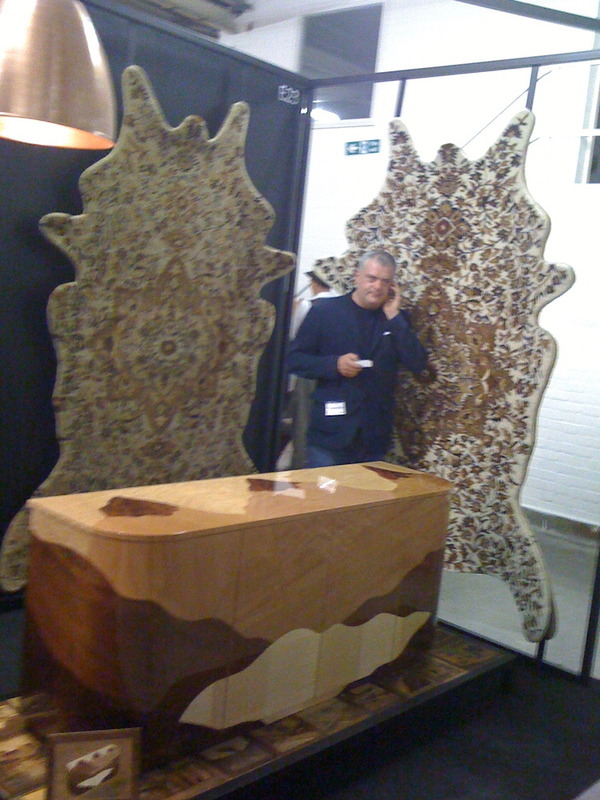 I visited the Kingston’s Design 4 Development MA show at Tent last week. 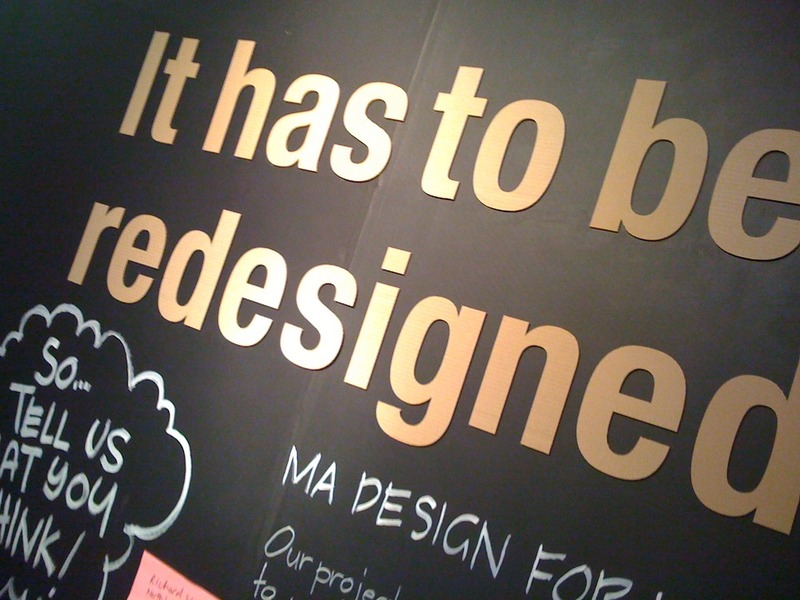 The MA group have been investigating sustainability in design and development. 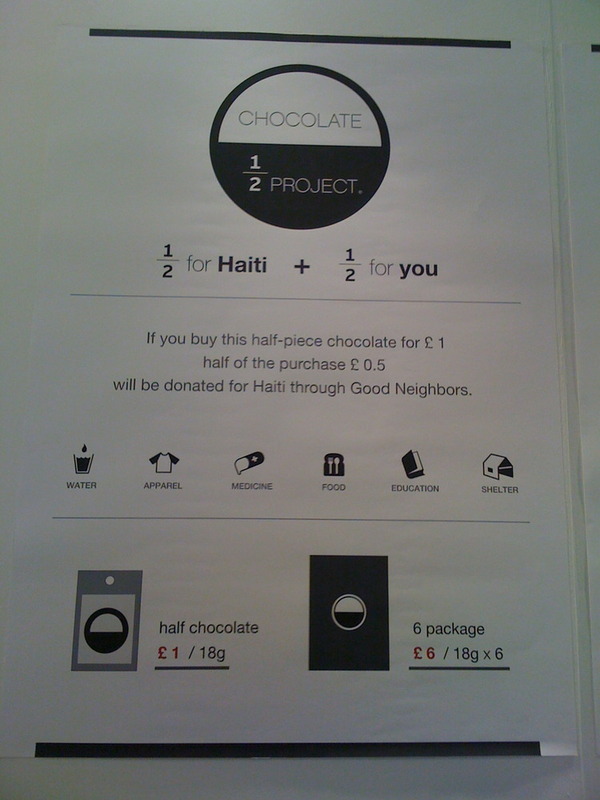 The stall showcased some projects and gave the opportunity to participate in a debate about sustainability. Someone wrote on the chalk board, ‘sustainability = efficiency.’ I wrote on the chalk board ‘not if you spend the money you save on an Easyjet flight to Spain.’ So goes the debate within the marginalised spaces occupied by designers interested in sustainability. Designers with faith in eco-efficiency vs those of us who see the need for structural change (and a good deal of eco-efficiency). Nonetheless, the bigger story is just how marginalized these visions for development are within the London design scene. Examine the context of small sustainable design hubs within the London Design scene at Tent gala exhibition. 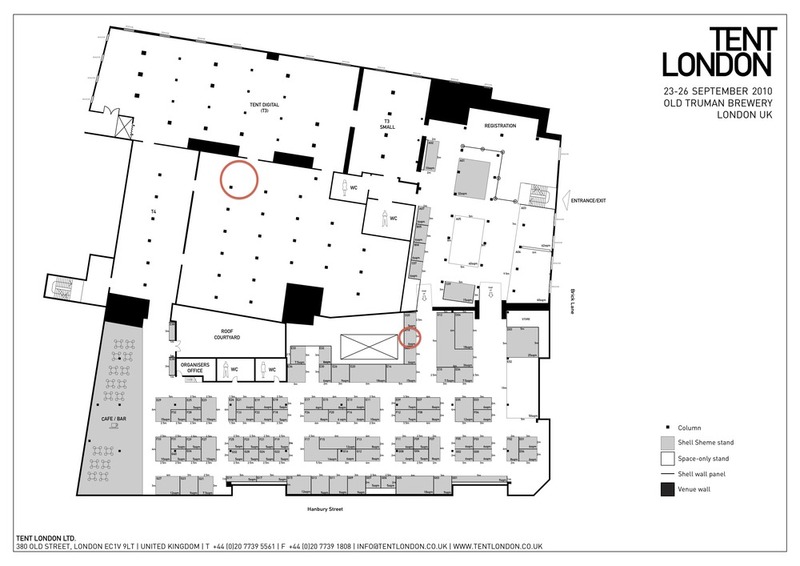 I am posting the map, with two small circles around the only stalls I discovered with credible aspirations at sustainability. The most important story coming from the exhibition is that sustainability is still marginal on the London design scene. The other interesting project was the 1/2 project, a social venture making cooperative contracts with businesses and social projects.